Unmatchable skills have earned you renown. The king entrusts you with the task of capturing the great stag that roams the forest. The beast is clever, but with the Imperial Quiver over your shoulder, you are successful in the endeavor. 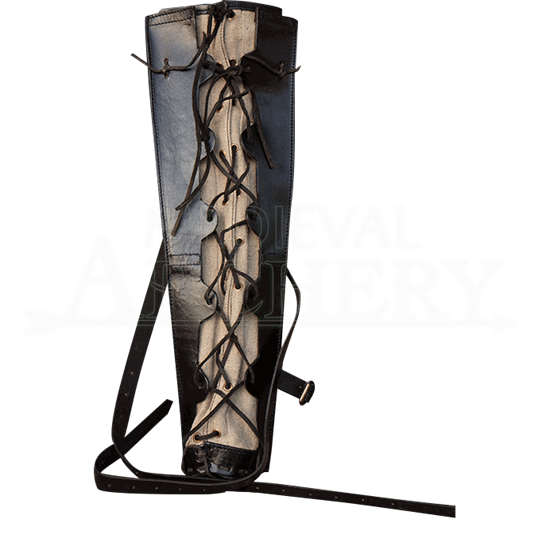 This handmade quiver is fashioned from dyed, natural leather and beige canvas. 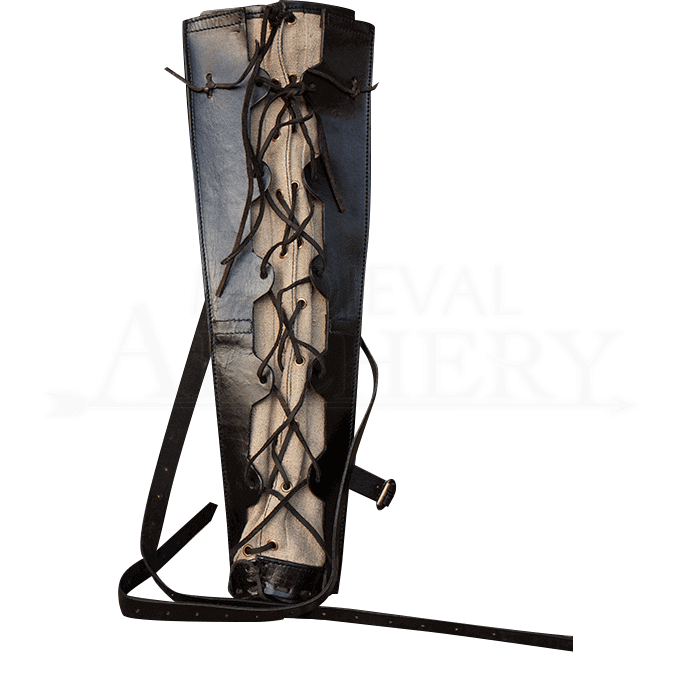 Leather cording laces up the front, allowing you to adjust the fit around your arrows. Leather plating forms a decorative outer layer on either side of the canvas, and reinforces the seams. The quiver includes reversible straps that fit over the shoulder and the chest. Leather cording adjusts the capacity.